Colorado Democratic governor Jared Polis speaks to Garfield County Democrats during his campaign tour, which made a stop at the Hotel Colorado on Friday, Nov. 9. 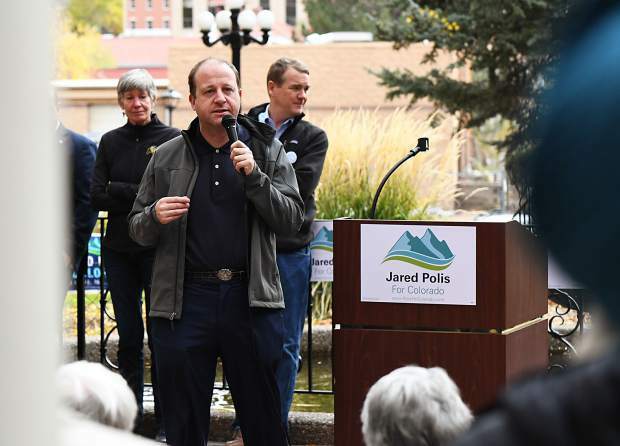 Governor-elect Jared Polis took some time this week to answer a few questions from the Glenwood Springs Post Independent about some regional issues, as he looks ahead to being the voice for Colorado, including the Western Slope, which was key in his election. 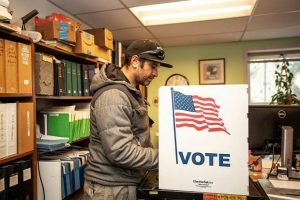 Though Polis edged out Republican candidate Walker Stapleton by just over 300 votes in Garfield County, the governor’s race was among the first called on Election Night. 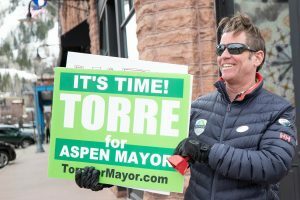 He ultimately received over 53 percent of the vote compared with Stapleton’s 43 percent. He’s the first Democratic governor candidate to win in Garfield County since Hickenlooper’s inaugural win in 2010. 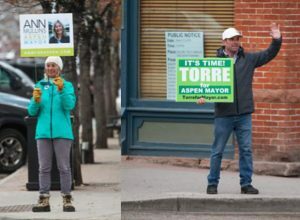 While Polis addressed some of the big issues facing voters throughout the campaign, on Monday he spoke specifically to what’s on the mind of many Western Slope residents. Those issues include rural economic development, the future of oil and gas development after the failure of Proposition 112, broadband access and more. Proposition 112, in particular, was a contentious one. It had sought to increase the minimum setback requirements for new oil and gas developments to at least 2,500 feet from occupied buildings and other vulnerable areas. The current setback rules, established by the Colorado Oil and Gas Conservation Commission in 2013, set a 500-foot statewide setback from residences, as well as a 1,000-foot setback from high occupancy buildings such as schools, nursing homes and hospitals. 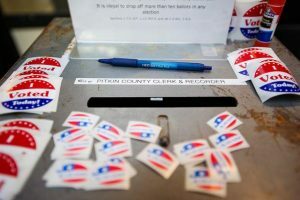 While the statewide initiative was shot down by voters 55 percent to 45 percent, it fared slightly better in Garfield County, with 54 percent opposed to 46 percent in favor. Garfield County currently ranks second in the state behind only Weld County in terms of gas production and sales for 2018, according to data from the Colorado Oil and Gas Conservation Commission. Following are the soon-to-be new governor’s thoughts on that and other economics-related issues. How do you expect the issue regarding setbacks for the oil and gas industry to move forward? Jared Polis: We’re looking forward to working with the industry and local communities to help set the parameters of local control. I am excited to work with every industry to create good jobs in Colorado. We want to make sure we empower communities to address certain conflicts on the ground, as well. Do you think there is a possible compromise on the distance requirement? Polis: I think there needs to be. I think there is a growing recognition in the oil and gas industry that they are tired of this instability and gambling their entire industry at the ballot box at great expense and risk. We are looking forward to including them in discussions with our county commissioners and city councils, as well as the environmental community, about how we can move forward together. What are your plans to drive economic interests in rural and western Colorado communities? Polis: I am passionate about economic development and jobs. … I am excited about empowering entrepreneurs in Western Colorado, as well as attracting big and large-scale employers to help provide good jobs in our communities that complement the amazing quality of life in Western Colorado. How will broadband high-speed internet play into those plans? Polis: High-speed internet is critical for location-independent employment. We look forward to working with the Legislature and through the state to expand high-speed internet connectivity options for many of our rural communities. Two statewide transportation initiatives, Proposition 109 and 110, sought to increase funding for roads and multimodal projects through a statewide sales tax increase and/or billions in bonds. Both measures were shot down by voters by significant margins. However, each question fared slightly better in Garfield County, as local projects along the Interstate 70 corridor and State Highway 13 would have received funding. How do you plan on addressing Colorado’s aging transportation infrastructure? Polis: I think the voters were clear that they don’t want to bond with no revenue, and they don’t want to use a sales tax mechanism. We will be looking forward to working with Republicans and Democrats from across Colorado to figure out how people do want to pay for roads. Are there any infrastructure projects on the Western Slope or I-70 corridor that you are looking to prioritize? Polis: There is a big backlog not only in western Colorado but statewide, and we look forward to working with Republicans and Democrats to find the funding mechanisms to do it. Our critical artery of Highway 70 and the speed capacity, we want to continue to work on alternatives for. We want to work on increased tourism from the west instead of the east. The LoVa, or Lower Valley Trail, was named among Gov. John Hickenlooper’s 16 in 2016, which listed 16 trail projects he wanted to prioritize for trail planning and construction, at least from New Castle to Glenwood Springs. It is now looking to be completed by the end of next year. 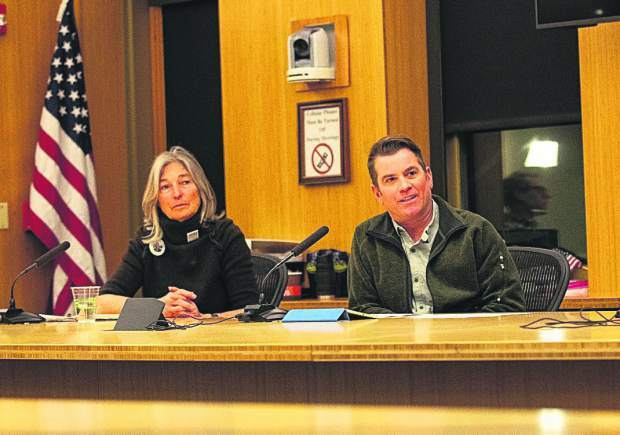 The trail, which has been discussed by officials throughout Garfield County for nearly two decades, will be designed to provide non-motorized access as I-70 remains the only way to get west from Glenwood Springs. How important will trail connections such as this be for you, especially on the Western Slope? Polis: We look forward to continuing to build on Hickenlooper’s legacy. We will certainly look at every project with a fresh set of eyes. We are certainly committed to improving the quality of life, as well as the tourism infrastructure, in western Colorado. I ran on not only protecting our public lands, but improving access through hiking and biking and all of the great things we enjoy in our great outdoors. I look forward to continuing to work with nonprofits and our counties across western Colorado to improve access and safety on our trails. State funding issues tied to Colorado tax laws continue to hinder school districts across Colorado. The Garfield School District Re-2 passed a mill levy override last week to ensure its teachers and staff are paid a competitive wage. How will you attempt to address this as governor? Polis: Congrats to Garfield Re-2 voters to step up, and a number of other districts across the state. Jefferson and Thompson counties’ voters passed mill levies to help make teacher pay more competitive. Of course, I look forward to working with teachers as well as Republicans and Democrats on a statewide funding solution to improve our schools.